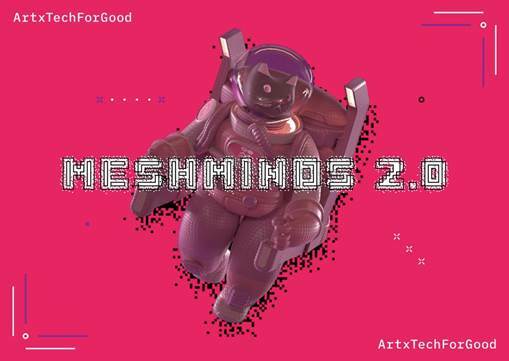 Blending the real and virtual worlds, MeshMinds 2.0: ArtxTechforGood offers more than 20 immersive multi-sensory experiences by a new generation of artists ready to tackle the toughest challenges facing our planet. From stepping through a virtual portal to help clean a polluted ocean, or imagining the future of our cities through the lens of augmented reality, take part in this ongoing conversation on sustainability through the lens of technology and the arts. To find out more, please visit meshminds.com or check out #artxtechforgood on Facebook and Instagram.